We shape tomorrow's world by what we do today. FSFE helps people to understand how technology affects their rights and freedoms, and empowers them to determine their own path in the digital world. See what we achieved in 2014, and where we're going next! I would like to share with you an overview of the work we did during the year of 2014. The support of FSFE's Fellows and donors has let us reach more people than ever before, and has allowed us to make an important impact. It has also allowed us to invest time and effort into making FSFE more effective. Importantly in a time of countless industry front groups, their contributions have helped to keep FSFE the way we like it: Fiercely independent and oriented towards the long term. Please enjoy our annual overview. Thank you for helping us make the world a better place! Getting the Free Software message to as many people as possible is one of the main things we do at FSFE. Working with FSFE's Fellows, friends, and allies, we help people understand how software freedom lets them take charge of the technology in their lives. FSFE's Fellows are great ambassadors for software freedom. The Zurich Fellowship group really came alive this year. The group published a detailed position paper on the ability of Swiss public bodies to distribute Free Software, and set up a version of the Free Software pact campaign for local elections. These volunteers established a country team in Switzerland, ran a local Free Software Pact campaign, and published a position paper on the OpenJustitia case. Another team of Fellows got together to form a country team in the Netherlands which runs privacy cafes, booths at events, and boosts local Fellowship engagement. For this year's Document Freedom Day campaign, we worked with volunteers around the world to explain and promote Open Standards at 51 events in 21 countries. In Munich, Germany, the local Fellowship group had a big media impact during the local elections in Munich this year, working to secure the city's use of Free Software amid political change. The group continues to closely follow the political process, and to build resistance in the city administration to the aggressive lobbying of some proprietary vendors. Events and conferences are still the single best venue to establish personal links with people who might be interested in Free Software. We explained Free Software in talks, workshops, panel discussions, radio shows and several times on TV. 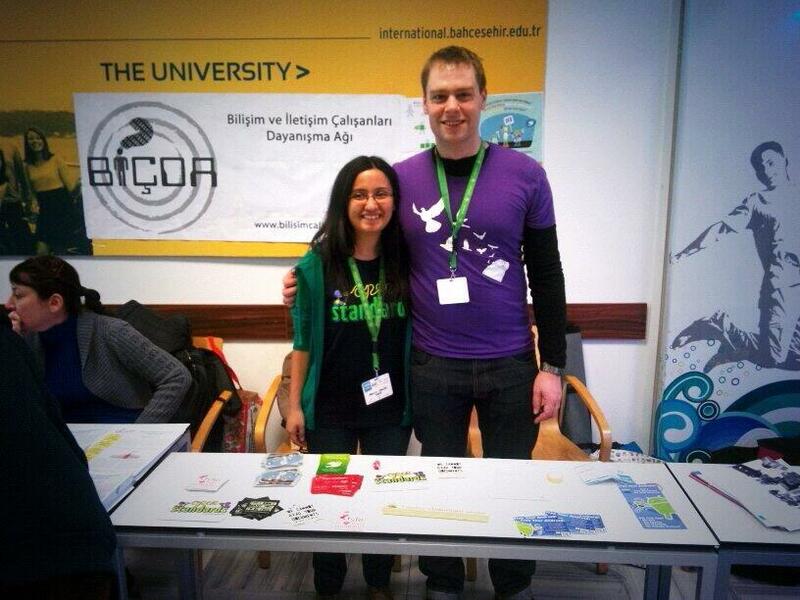 For many of these events, FSFE's Fellows took charge of organising our participation and staffing the booth. In addition to the usual IT conferences and events, we expanded our reach to cover street festivals in Munich and Düsseldorf (Germany), as well as festivals and game conferences in Vienna. This new outreach angle worked well, and we want to be present at many other such events next year. Quite frequently, these events are also an opportunity for people to seek FSFE's help and support with moving their own organisations along the path to Free Software. In this way, we helped the protestant church in the German Rhineland to build Free Software into its IT strategy, and are currently engaged in a similar conversation with the European Commission and the European Parliament. Of course, we don't just rely on campaigns and events. We spread the word about Free Software every day, and help others do the same. Often, our wonderful team of translators helps us do this in local languages. During 2014, our monthly newsletter was translated into six languages on average. The same volunteers help us make FSFE's website available in up to 30 languages. People who want to talk about Free Software to their friends and neighbours can order information packs through our website. 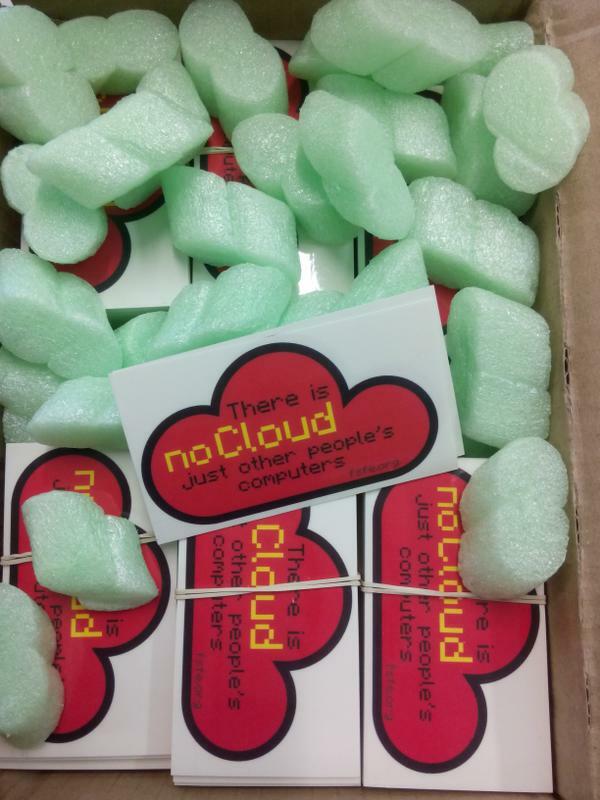 We are currently sending out ten packs per month on average. People can order these free of charge through our website, though of course we appreciate donations to cover printing and shipping costs. Both our introductory Free Software leaflet and our F-Droid leaflet are available in five languages. We recently added a flyer on “email self defence” in German and English (more languages will be available soon); demand for this has been so great that we have already done three print runs of this. Volunteers distributed this flyer at the premiere screenings of the movie “Citizenfour”. Governments make the rules. By working with politicians and administrators, FSFE makes sure that laws and institutions put human rights and freedoms first. For the European elections in May 2014, we helped the French Free Software association April with the Free Software Pact. We invited candidates in those elections to sign the pact, asking them to commit to using their European Parliament mandate to promote Free Software. Many of FSFE's Fellows got in touch with the candidates in their area to ask them. 33 of the pact's signatories are currently serving as Members of the European Parliament. We will repeat this effort for other elections. Preparations are currently under way for Switzerland's 2015 elections. With more resources available, we could put more time into following up with signatories, and using the contact we've built through the campaign to let them know what they should do in order to improve the situation for Free Software. In order to put users in charge of their devices, we kept pushing on “trusted computing” and “SecureBoot”. We brought this issue with Germany's Federal Information Security Office, and to the ministries of economics and interior. At the EU level, we initiated conversations about alternatives such as CoreBoot. We are pushing to ensure that consumers have the possibility to install alternative operating systems on the devices they buy and own. Our goal is to use the progress we have made in Germany to create progress in other European countries, and finally put device owners in full control of their hard- and software. On public procurement, we pushed hard for the European Commission to improve the way it acquires software, in order to open up opportunities for Free Software and Open Standards. Using the EU's “freedom of information” mechanism, as well as parliamentary questions, we got the Commission to release documents about the way its contracts with Microsoft and other providers of non-free software are structured. We also obtained a document outlining the EC's [desktop software strategy] [pdf] for the coming years. This effort has opened the doors to several meetings with high-level IT decision makers in the Commission and the Parliament, and has enabled us to start a constructive conversation with them about what steps to take next. For example, the Commission has asked us to provide input to the next version of its “open source strategy”. The router that connects your home to the Internet should be under your control. That's why we have followed developments on the issue of compulsory routers. We have published position papers, and documented both the arguments and the process in German, English, and Dutch. We supported other organisations with arguments and technical expertise, such as the Federation of German Consumer Organisations. Germany's ministry of economics is currently working on a draft law to enable free router choice for consumers, and prohibit compulsory routers. Freedom faces many challenges. FSFE builds networks among the people who can do most to break down the barriers on the way to a free society. We facilitate the world's largest network of legal experts on Free Software, with currently more than 360 members (up from 320 last year). Participating experts come from a wide range of backgrounds, from corporate legal departments to lawyers in private practice, and engineers with legal skills. The network serves to develop and spread best practices around Free Software, and increase acceptance. Several participants have called the network's annual meeting, the Free Software Legal & Licensing Workshop, the best event of its kind in the world. Our favourite sticker this year. This year, we also launched the Asian Legal Network as a discussion forum specifically targeted at the companies in that region, which make most of the world's computing hardware and embedded devices. Run jointly with the Open Invention Network and the Linux Foundation, this group is intended to help those companies join the global conversation on Free Software best practices, and assist them in improving license compliance. 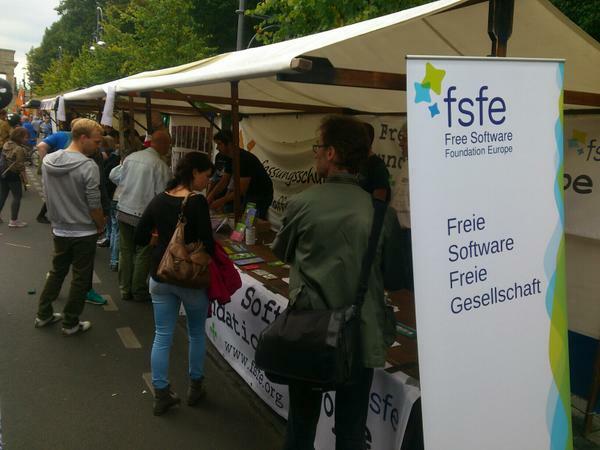 FSFE's legal team again handled several dozen inquiries from developers and companies about copyright, licensing, trademarks, patents, and many other aspects of Free Software. Our legal coordinator Matija Šuklje also answered lots of in-person questions at conferences and events, as well as at Ljubljana's CyberPipe hackerspace, where he works one day a week. This year, we set aside some time to review FSFE's goals, and the ways in which we pursue them. We conducted a stakeholder survey to learn more about the people who take an interest in FSFE, talked to many of our friends and allies in person about FSFE's work and direction, and reviewed our activities. With a small group of internal and external experts, we hammered out a better way to explain FSFE's purpose that concisely reflects the direction we want the organisation to take for the coming years. This was an intense and highly productive internal process. The results will become visible over time, as FSFE's edge grows sharper, and we become more effective than we already are. This section is based on our financial results at the end of Q3 2014. FSFE's information for previous financial years is available online. We will post the final numbers for 2014 as soon as they become available. FSFE has an annual budget of roughly 400,000 Euro. 35% of this is covered by Fellowship contributions. 25% is covered by sponsoring for specific activities (mostly the annual Free Software Legal & Licensing Workshop, and Document Freedom Day). 20% comes from three big donors (Google, Linuxhotel and Red Hat), and 15% from smaller corporate or private donations (see our list of donors. The rest comes from sources such as merchandise sales, speaker fees and so on. 75% of FSFE's income is unrestricted, while 25% are tied to specific purposes -- mostly the sponsoring mentioned above. 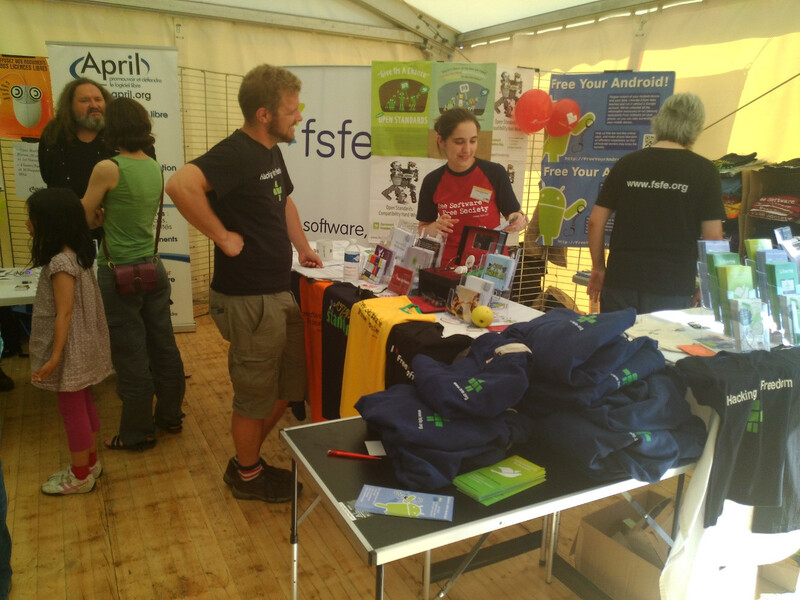 FSFE's booth at RMLL 2014. In sum, roughly half of FSFE's funds come from a limited number of large donors and sponsors (and let's not forget our hardware donors). The other half comes from countless small contributions from individuals and companies, in particular through the Fellowship. Fellowship contributions have shown reliable and constant growth, increasing by 164% since 2010. This is great, since they are the bedrock of FSFE's financial independence. In effect, they put us in the wonderful position to pursue our work for freedom without being worrying whether our initiatives might annoy our large donors. This section is based on our financial results for 2013. We will publish the figures for 2014 as soon as they become available; the distribution of costs across different categories is going to be similar to the 2013 results. Across nearly all categories, our largest cost factor are staff salaries. We have a great team of experienced and dedicated people, and by paying them a living wage, we make it possible for them to dedicate their working time to Free Software. The largest cost center is public awareness, where we spent 30% of our funds in 2013. Most of this went into staff salaries for campaigns and general public awareness work. The rest paid for FSFE's participation in events (mostly travel-related costs) and informationation materials. About 22% of our spending went to FSFE's legal work. We used this to pay the salary of our legal coordinator, and travel to legal-related events. A large chunk of our spending in this category went towards organising the annual conference of the Legal Network; we cover the cost of these events through sponsoring and ticket sales. Roughly 13% of our 2013 spending went towards the Fellowship. Again, most of this was for the salaries of our staff that support the Fellows in being effective ambassadors for Free Software. We also organised a meeting of European coordinators that year (to be repeated in 2015), and made money available for local activities by Fellowship groups. Pretty much exactly the same share of spending went to FSFE's policy work. Here, the cost structure is very simple. Nearly all of the funds we spend on policy work go towards staff salaries. Most of the rest serves to cover travel costs for policy work, with Brussels as the most frequent destination. About two percent of our costs in 2013 were for merchandise, covering mostly production (buying) costs and staff time. Of course, these costs were more than covered by the money we made selling said merchandise. About 20% of our costs (19.2% in 2013, to be exact) are overhead spending, covering personnel costs for management and administration, team meetings (we are a pretty distributed organisation), rent for office space, phone bills, and so forth. We're trying hard to keep the overhead rate low; but there's no escaping the fact that an organisation like FSFE needs some level of management and coordination in order to remain effective. During the coming months, the new European Commission will set the direction of its work for the next five years. During the past year, we have built a number of high-level connections in the Commission and the Parliament, and we are itching to leverage these. In addition, we are currently receiving numerous inquiries from Commission staff with whom we have built long-standing relationships, and who currently see open doors for Free Software in Brussels. It is important that we can intensify our work as soon as possible, and take advantage of this opportunity to improve the situation for Free Software and Open Standards at the EU level. Software procurement, standardisation, patents, and device sovereignty are core topics for our policy work. 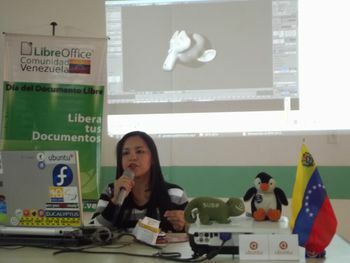 We want to reach more people, and go to more places where people do not yet know about Free Software. This is why we will further strengthen FSFE's network of local volunteers and Fellowship groups. In 2015, we plan to be present at street festivals and other events where until now, nobody has been promoting Free Software. We have greatly improved our leaflets, stickers, and other printed information materials over the past year. Now we will translate it into more languages, and expand its distribution libraries, cinemas, shops, and other places. In the long run, we want to make sure that anyone who hears about Free Software in Europe can easily find a knowledgeable person close to them to help them along their path. That's why we will focus on supporting local activities in various ways. We're preparing a workshop for the European coordinators of FSFE's volunteer teams, in order to help them and their teams become more effective activists. We will enable activists to visit Fellowship groups in other places, teach their skills, and share their experiences. And we will make our promotion materials available in even more languages. As we prepare to take on these challenges, we are grateful for the huge support we are experiencing, and for our Fellows' unrelenting passion for freedom!